The Air Force/Navy Joint Air to Surface Standoff Missile (JASSM) program was established in the fiscal year 1996 budget, following cancellation of the Tri-Service Stand-off Attack Missile (TSSAM), to develop a replacement for that system at the earliest possible date. In light of the urgent need for the operational capability that would have been provided by the TSSAM, the Secretary of Defense established a joint program in the Air Force and the Navy for development of a replacement for TSSAM, canceled for escalating program cost, that would meet the requirements of both services. After the termination of the TSSAM, the Services continued to reiterate the need for a high survivability standoff weapon capable of attacking a variety of deep interdiction type targets. 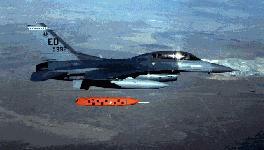 The Joint Requirements Oversight Council revalidated the need for the weapon in an August 1995 mission need statement. JASSM is a precision cruise missile designed for launch from outside area defenses to kill hard, medium-hardened, soft, and area type targets. The threshold integration aircraft are the F-16, B-52, and F/A-18 E/F, and the airframe design is compatible with all JASSM launch platforms: the B-52H, F-16C/D, F/A-18E/F, F-15E, F-117, B-1B, B-2, P-3C and S-3B. The weapon is required to attack both fixed and relocatable targets at ranges beyond enemy air defenses. After launch, it will be able to fly autonomously over a low-level, circuitous route to the area of a target, where an autonomous terminal guidance system will guide the missile in for a direct hit. The key performance parameters for the system are Missile Mission Effectiveness, range, and carrier operability. 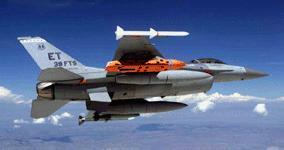 JASSM's midcourse guidance is provided by a Global Positioning System (GPS)-aided inertial navigation system (INS) protected by a new high, anti-jam GPS null steering antenna system. In the terminal phase, JASSM is guided by an imaging infrared seeker and a general pattern match-autonomous target recognition system that provides aimpoint detection, tracking and strike. 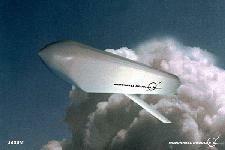 It also offers growth potential for different warheads and seekers, and for extended range. Initially, the program entertained proposals from seven contractors. The build-up to the Request for Proposal release was a period of intense interaction between all contractors and the government team. A 24-month JASSM Program Definition and Risk Reduction contract was awarded to McDonnell Douglas by the Department of Defense on June 17, 1996. 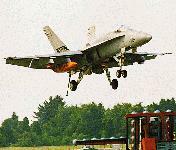 A downselect to one contractor for the engineering and manufacturing development and full-rate production phases occured in April 1998 with the selection of Lockheed-Martin. The Navy has proposed to replace the joint program for JASSM with the Navy's SLAM-ER, prior to completion of the current program definition and risk reduction phase for JASSM. 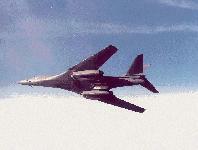 The proposal is one of the program alternatives that may be considered at the Milestone II review for entry of the JASSM program into engineering and manufacturing development in July 1998, which will evaluate the technical progress in the program and risk reduction phase, cost and operational effectiveness analysis, and other factors. 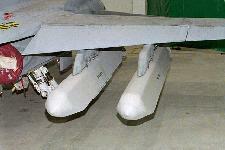 Low-rate initial production decision for JASSM is in the year 2000, with full-scale production scheduled to run from 2002 to 2009. Total missile production for the U.S. Air Force is expected to be 2,400 missiles; the total for the U.S. Navy is yet to be determined. The total program is valued at approximately $3 billion. 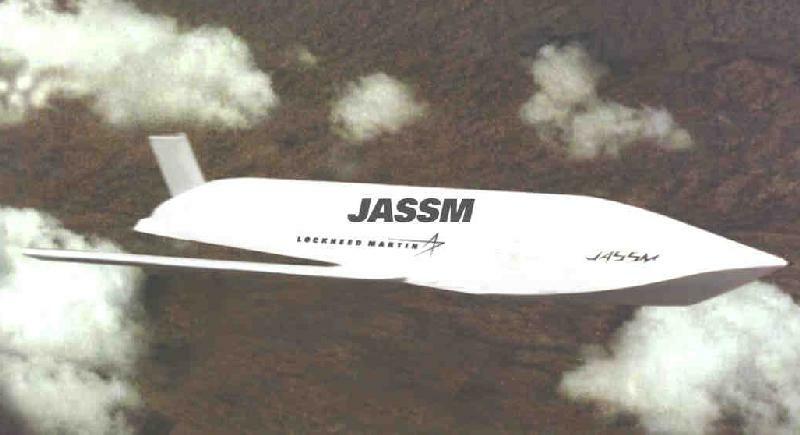 The JASSM P-LOCAAS-DM P3I concept integrates powered LOCAAS submunitions with dual mode LADAR and MMW seeker. 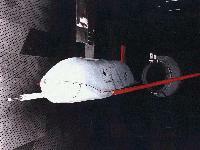 LOCAAS has a multimode warhead and a maneuvering airframe to produce a high performance submunition . The warhead can be detonated as a long rod penetrator, an aerostable slug, or as fragments based on the hardness of the target. The LADAR allows target aimpoint and warhead selection to be determined automatically. The powered LOCAAS uses a small turbojet engine which is capable of powering the vehicle for up to 30 minutes. 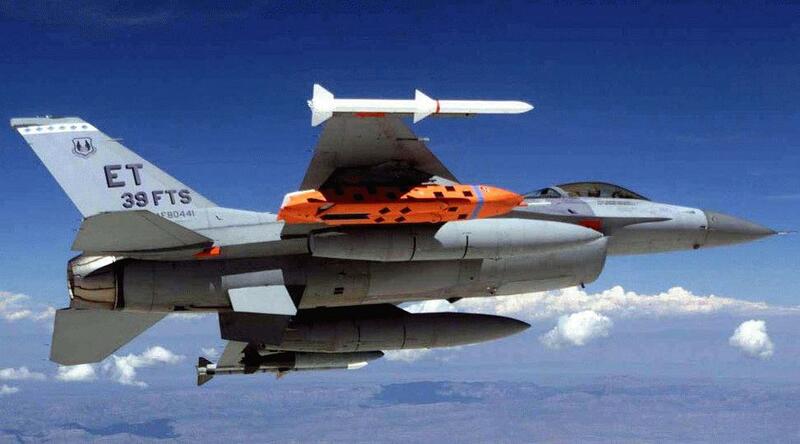 JASSM will provide the delivery platform for LOCAAS thus increasing the range and operational flexibility of LOCAAS. The JASSM Penetrator concept is a P3I to the Joint Air-to-Surface Standoff Missile (JASSM) to replace the baseline warhead with an advanced penetrator that meets or exceeds the objective penetration requirement specified in the JASSM Operational Requirements Document (ORD) and to add a synthetic aperture radar (SAR) seeker for adverse weather precision attack capability. The warhead concept is a 1000 pound dense or ballasted penetrator. The warhead would either be designed with a dense metal case or contain dense metal ballast for maximum penetration. The warhead will be filled with advanced insensitive explosive to compensate for the reduced charge weight. The JASSM will be compatible with the B-52, F-16, F/A-18 (threshold), B-1, B-2, F-15E, F-117, S3, P3 and JSF (objective). This concept uses the Hard Target Smart Fuze (HTSF), an accelerometer based electronic fuze which allows control of the detonation point by layer counting, distance or time. The accelerometer senses G loads on the bomb due to deceleration as it penetrates through to the target. The fuze can distinguish between earth, concrete, rock and air. 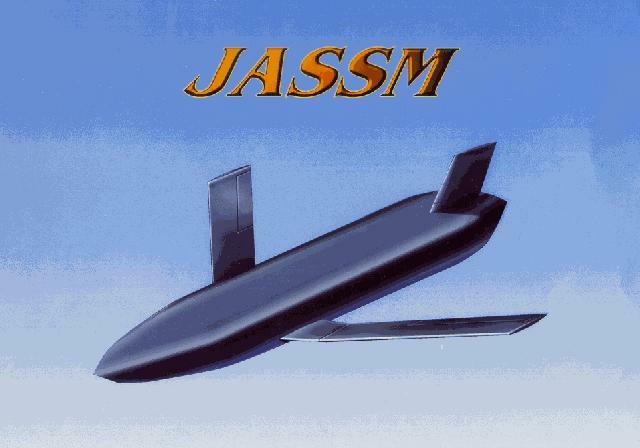 In December 1998 the development of JASSM was slowed, following concerns that the program�s development schedule was "too aggressive." The engineering and manufacturing development (EMD) phase was extended from 34 to 40 months. Another reason given for the extended schedule was that the Theater Battle Management Core System, on which the JASSM will rely, is not yet year 2000-compliant. The JASSMs, costing approximately $300,000 per unit, will be tested beginning in February 1999 at Eglin and at White Sands Missile Range. NEW MISSILE Voice of America 4/9/98 U-S DEFENSE OFFICIALS HAVE CHOSEN THE LOCKHEED MARTIN CORPORATION TO BUILD THE NEXT GENERATION OF STEALTHY, SMART MISSILES. New missile contract comes in at low price : Apr 17, 1998 Air Force News Service -- A new contract will bring the Air Force a state-of-the-art missile, and hard-ball negotiating has knocked off a third of its price tag. JASSM Gets Off Ground Successfully AAC Public Affairs, Eglin AFB A successful flight test of Eglin�s Joint Air-to-Surface Standoff Missile was conducted Aug 12 at White Sands Missile Range, N.M. The flawless unpowered test indicates that the problem with the electrical system experienced during the missile�s first flight test on April 8 has been remedied. JASSM To Fly With New Explosive Formulation Release: AFDTC/PA 98-422 -- When JASSM (Joint Air-to-Surface Standoff Missile - a weapon under joint development by the Air Force and Navy), goes into production, its warhead will contain a new explosive formulation. 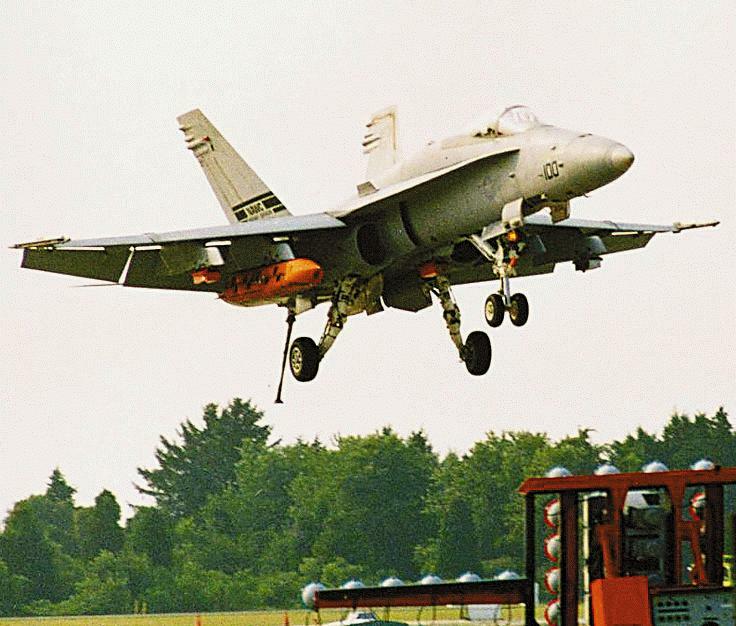 CARRIER SUITABILITY TESTING COMPLETED Pax River Tester (Sep 3, 1998) -- Engineers recently completed carrier suitability testing of the Joint Air-to-Surface Standoff Missile (JASSM) at the Patuxent River TC-7/MK-7 Catapult and Arrestment test site. JASSM undergoes cats and traps at Pax The Rocketeer 3 September 1998 -- The JASSM missile, loaded on an F/A-18C, successfully completed a flight test matrix of 6 catapult launches and 15 arrested landings. Joint Air-to-Surface Standoff Missile nears production Air Armament Center Public Affairs 20 Nov 1998 -- The JASSM program office is working to bring the missile into active inventory by 2002. The program will enter the engineering and manufacturing development phase in November. 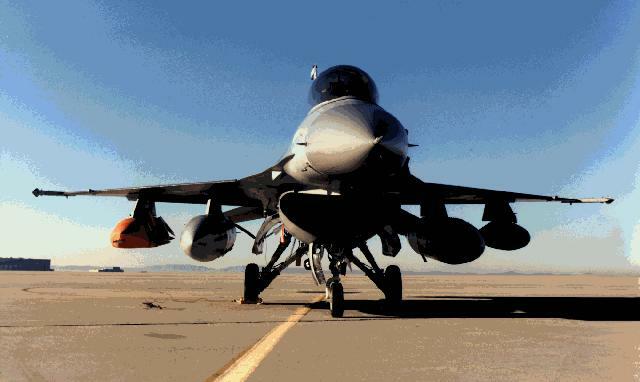 JASSM Launch & Leave	Subsonic Cruise Missile Design Air Force Armament Team News Connection, Eglin AFB (Special Edition - 1999) The Joint Air-to-Surface Standoff Missile (JASSM) is an all-up-round weapon system stored in its own container. The missile weighs a maximum of 2250 pounds and is 168 inches long and approximately 18 inches in diameter. JASSM lifts off at White Sands Missile Range Air Armament Center Public Affairs 27 Aug 1999 -- The Joint Air-to-Surface Standoff Missile flight test was successfully conducted Aug. 12 at White Sands Missile Range, N.M. The flawless unpowered test indicates a problem with the missile's electrical system experienced during the missile's first flight test April 8 has been remedied. 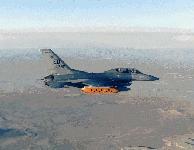 Air Force restructures Joint Air-To-Surface Standoff Missile (AFPN) 27 Aug 1999 -- The Air Force announced it has approved a plan to restructure the Joint Air-to-Surface Standoff Missile program master schedule and delay the low rate initial production decision from fiscal 2001 to fiscal 2002. This amounts to a 12-month program extension. Wind tunnel testing examines new weapons compatibility for B-1B, Air Force Print News, 30 August 2000 -- A series of wind tunnel tests conducted at the Arnold Engineering Development Center here examined new weapon options for the B-1B Lancer. JASSM proves deadly accurate in first development test flight, Air Force Print News, 31 January 2001 -- Test teams successfully put the Joint Air-to-Surface Standoff Missile imaging infrared target seeker system through its paces recently, clearing another major hurdle toward it entering the nation's precision-guided munitions arsenal. 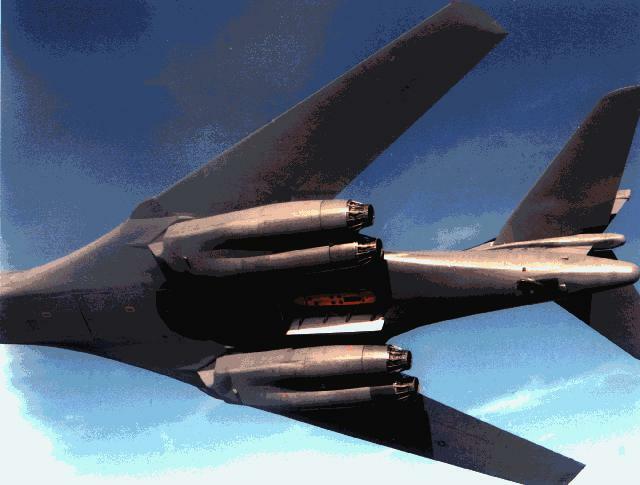 Lockheed Martin's JASSM Achieves Two More Successes JASSM Destroys Target With First Live Warhead In Flight Test; Cleanly Separates From B-52, Lockheed Martin Press Release, 26 April 2001 -- Lockheed Martin Missiles and Fire Control's Joint Air-to-Surface Standoff Missile (JASSM) successfully demonstrated end-to-end performance by destroying an air defense target in a flight test at White Sands Missile Range in New Mexico today.